Located in the heart of Virginia's horse country, this farm's gorgeous barn is refined and elegant. 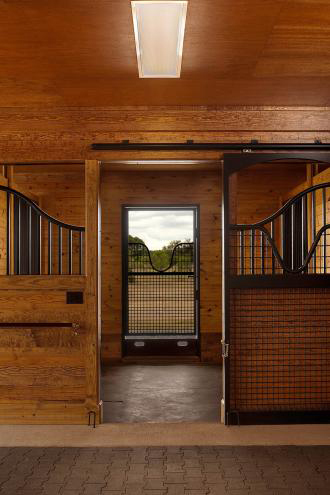 Read below for the specs on this barn and to find out how the customer, builder, architect, and Lucas Equine designers worked together to create this beautiful private stable. 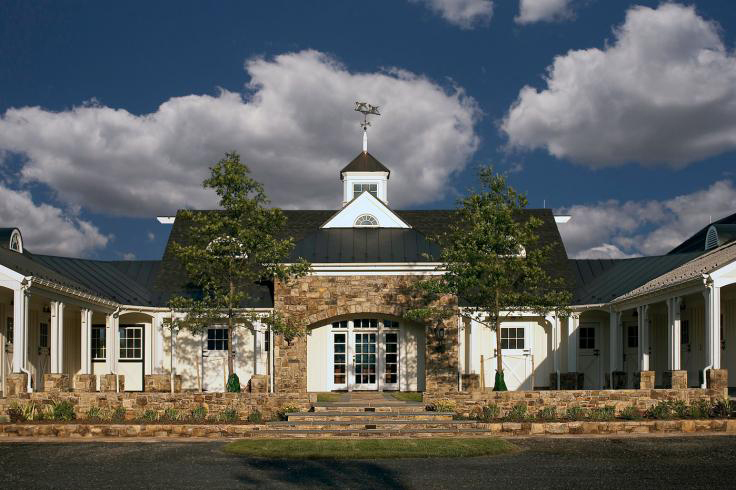 The barn was built by Thorsen Construction in Virginia and the architect was Tommy Beach of Earth Design Associates. Some interesting features in this property include beautiful stonework, rich hardwood throughout, and three wings that made up the stable complex. Construction of the farm's 13,000 square foot estate and carriage house is currently underway. 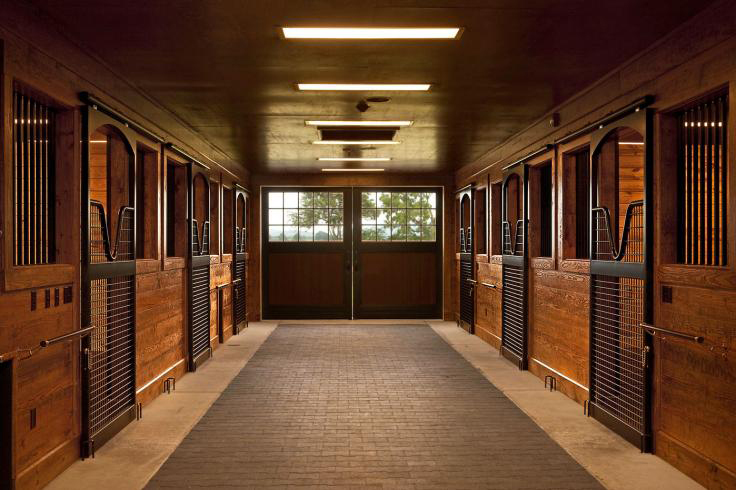 Feel free to e-mail us to discuss ideas for your next barn project, or to see other projects that suit your style and budget.